. :: HABTOOR & GHANTOOT WILL BE IN THE FINAL OF THE DUBAI POLO GOLD CUP ::. MOHAMMED AL HABTOOR´S TEAM DEFEATED ABU DHABI BY 8 GOALS TO 6 AND GHANTOOT BEAT BIN DRAI BY 9 GOALS TO 5. HABTOOR POLO AND GHANTOOT WILL BE IN THE FINAL OF THE GOLD CUP AFTER WINNING MONDAY 11TH SEMI-FINAL MATCHES. Habtoor Polo defeated Abu Dhabi by 8 goals to 6 and Ghantoot beat Bin Drai 9-5. 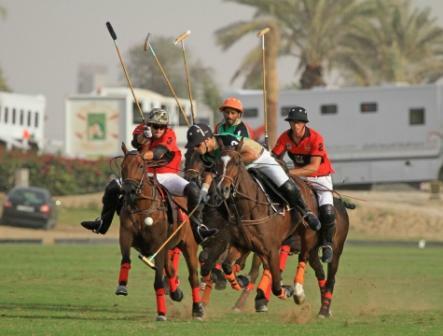 Both semi-final matches were a high level of polo with plenty of goals in the two games. The first match between Habtoor Polo and Abu Dhabi was a close game. In the first three chukkers both teams had a small margin between them. The first chukker Abu Dhabi led by 3 goals to 2, in the second period they ended with a 4 goal apiece and in the third Habtoor had the advantage by 6-5. The one goal lead was very important for Mohammed Al Habtoor´s team who played the fourth chukka in a very intelligent way and with an earlier goal by Mohammed managed to control the game and achieve a victory. In the second game of the Gold Cup semi-finals, Ghantoot played a superb match, with two great initial chukkers that were crucial for the final result. With a great performance by Facundo Sola, who scored four goals, Ghantoot went several goals ahead in the first half of the match (5-1 and 7-2) to control the game in the second half. 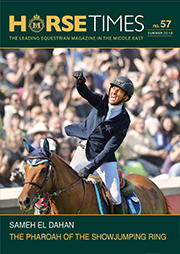 Despite Bin Drai reacting in the last chukka they couldn´t manage to catch Ghantoot who finally won by 9 goals to 5. Six teams taking part at the Dubai Polo Gold Cup Series: Habtoor Polo; Mahra Polo; Zedan Polo; Bin Drai Polo; Abu Dhabi Polo and Ghantoot Polo. Held under the patronage of His Highness Sheikh Maktoum bin Mohammed bin Rashid Al Maktoum, Deputy Ruler of Dubai, the tournament has grown in tandem with the city of Dubai. With its exciting mix of top-class sportsmanship and glamour, it has earned a reputation as one of the most prestigious events on the international polo calendar. It’s also one of the most important annual tournaments in the region and always attracts a high profile crowd. This year it looks set to be more popular than ever and some of the most respected names from the world of polo have confirmed their participation.